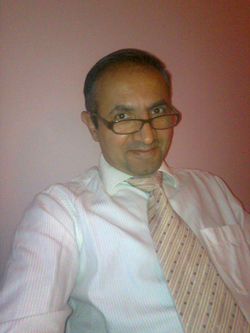 Dr.Nidal Alchihabi I am a pediatric surgeon. I graduated at the University of Pécs Medical School in 1986. I obtained by qualification as a pediatric surgeon at the Pécs Children’s Hospital in 1993. I am currently employed at the Pediatric Surgery Department of Jósa András Hospital in Nyíregyháza, as Head of Unit. My primary aim is to provide professional treatment for patients living with child surgical conditions. I aspire to provide treatment that is as painless and putting as little strain on the patient as possible while the length of hospitalization does not exceed what is absolutely necessary. I therefore prefer ambulatory surgery and one day surgery when possible. I provide conservative and surgical treatment of surgical and urological conditions and disorders in children.